Season 6 of mega-popular murder-a-rama Fortnite Battle Royale has just kicked off, launched with a huge update which once again changes the landscape of Murder Island. 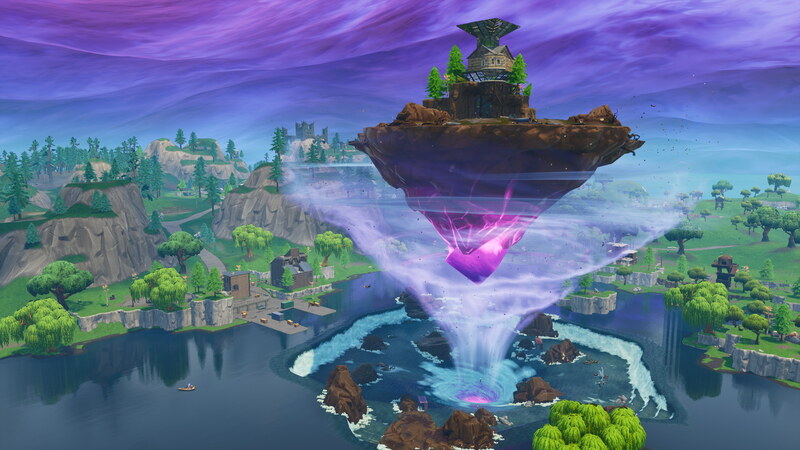 A few days after a giant runed cube completed its journey across the island and turned the central lake into jelly (which was an actual real in-game happening, to be clear), Loot Lake has blasted open a swirling vortex which lifted its main island into the sky and seems to have torn open rifts to a shadowy world. Players can now find Shadow Stones in “corrupted” areas of the battleground, which turn us invisible when we stand still and make us generally sneakier. But mostly I’m here to surf the vortex, bouncing up and swirling round.